Cold Steel Drop Point Spike Neck Knife | BUDK.com - Knives & Swords At The Lowest Prices! 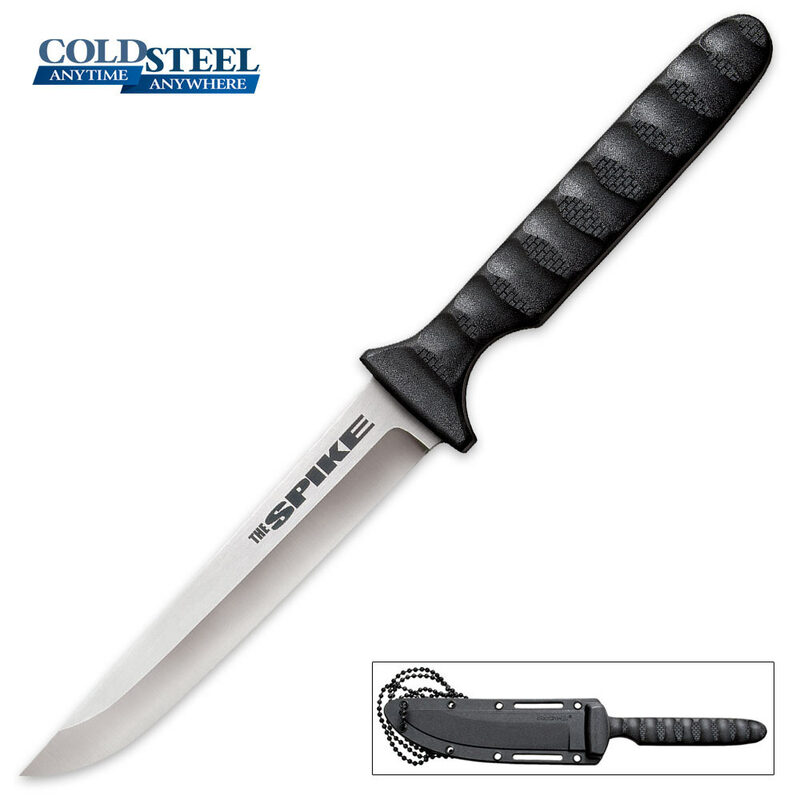 The Drop Point Neck Knife from Cold Steel's Spike series is one strong, sturdy and dependable neck knife! The zero-ground blade is constructed of German 411G stainless steel with a heavily scalloped design. The ergonomic handle features textured, G-10 Griv-Ex material for a solid grip. Includes a Secure-Ex sheath and a black bead lanyard for wearing daily around your neck.